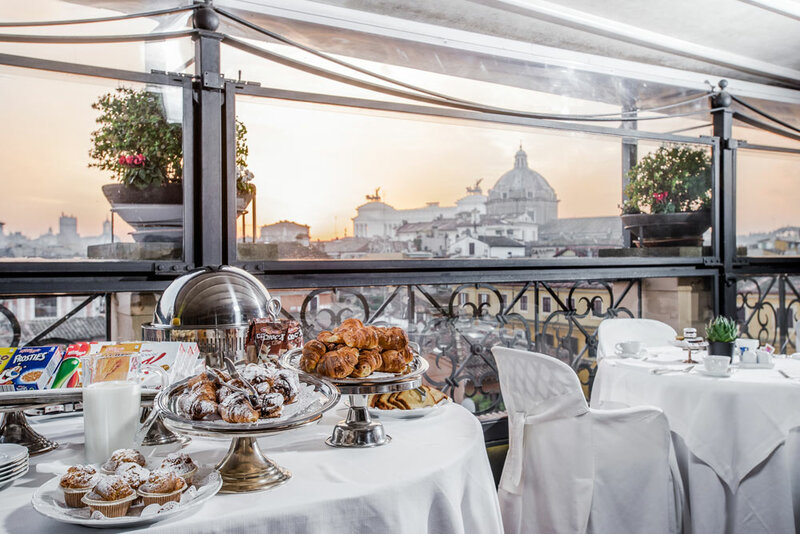 Dine under the Italian sky with panoramic views of the Eternal City at Grand Hotel de la Minerve. The Minerva Roof Garden houses the hotel's exclusive restaurant with a strategic location, 360-degree views, and creative cuisine by Naples-born Chef Antonio Falco. Continue reading below the photo of the Minerva Roof Garden. Open for breakfast, lunch, and dinner, the restauran offers Italian and international cuisine with a traditional menu, tasting menu, and a la carte options, plus an extensive wine list. There are special birthday and first communion menus, and The Bar serves international cocktails in the space that was once the palazzo's winter garden. Read more below the photo. 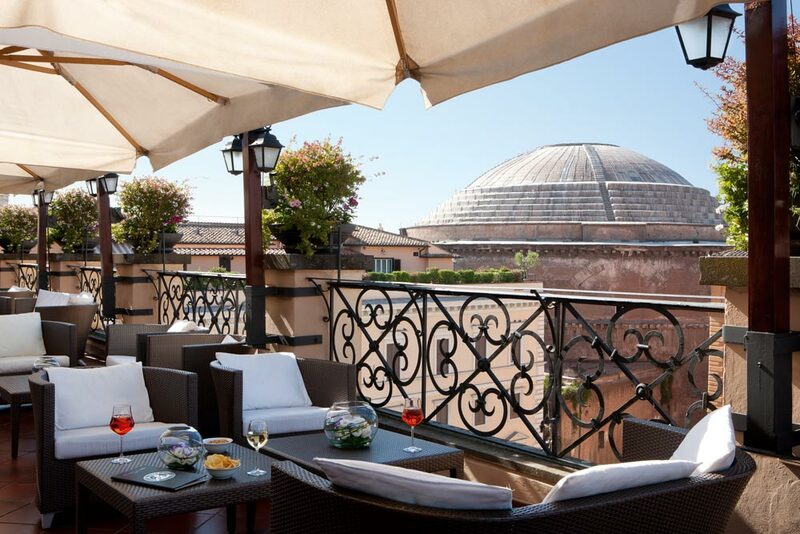 Once an aristocratic home built in the 1600s, the Grand Hotel de la Minerve is a luxury hotel overlooking the Pantheon. 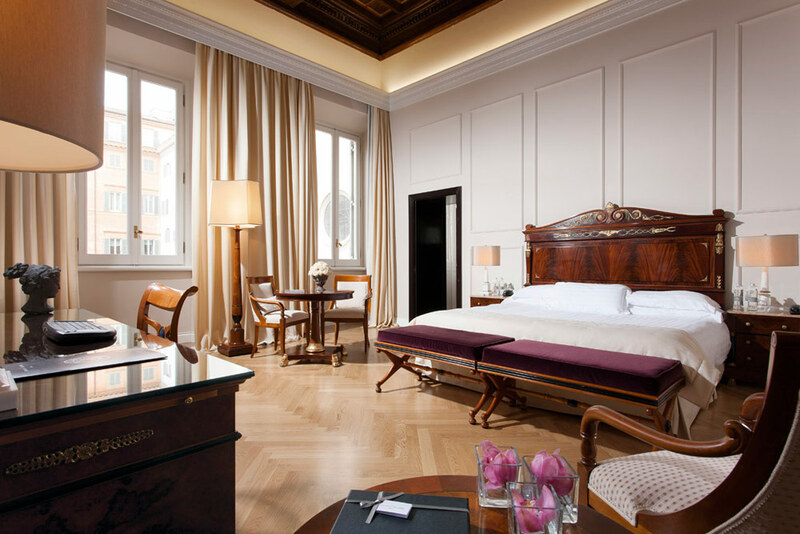 Set in the midst of the historic city center, the noble hotel offers 135 guest rooms mixing classic style with the latest amenities including bathrooms with travertine marble and Etro bath products, double glazed windows, flat-screen TVs, and minibars. Continue reading below. Steps from the Piazza Navona, Trevi Fountain, and the Spanish Steps, the property is ideally situated for exploring Rome.